The motto of Classical Academic Press is “Classical Subjects Creatively Taught.” which describes the products that they publish. On the Classical Academic Press website you will find curriculum products covering such subjects as Latin, Greek, Spanish, French as well as Bible, Poetry and Logic. 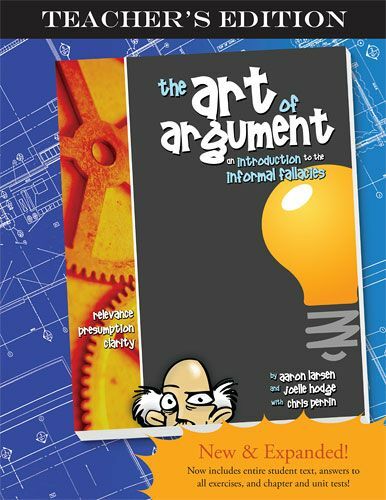 Recently our TOS Homeschool Crew members were sent the Art of Argument Student and Teacher Books as well as a DVD disk containing fallacy discussions (with students) of the first 7-8 fallacies members for review. The logic products the crew received for review are geared toward grades 7th through 9th because it is the appropriate time-frame for students to study logic in the classical education curriculum. However, this logic curriculum is also appropriate for older students who have not been previously exposed to a logic curriculum . The teacher’s edition not only includes answer keys and reproducible quizzes which correspond to the student text but also includes the full student text along with chapter and unit tests. The Classical Academic Press website contains a link to pdfs which contain sample chapters as well as a How To file for the teacher’s edition of the Art of Argument. You can view the Sample Chapters for yourself as well as the How To File. Both the student and the teacher’s edition of the Art of Argument can be purchased from the Classical Academic Press website. The student edition of the Art of Argument can be purchased for $21.95 and the teacher’s edition is $24.95. 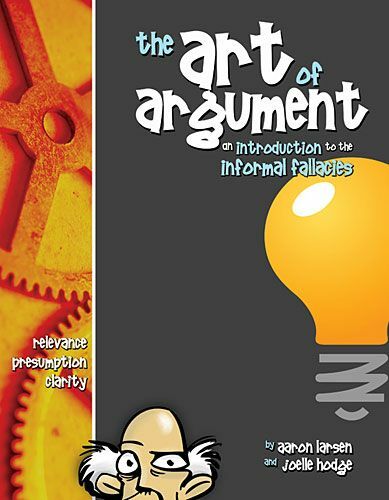 Customers of Classical Academic Press can purchase the full DVD set (5 DVDs) for the Art of Argument for $54.95 which covers all 28 informal fallacies. 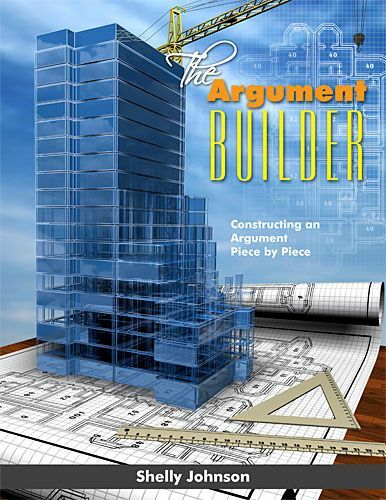 A few Crew Members received the second book in the logic series: The Argument Builder. This consists of a student book and a teacher’s edition. In this book, students learn to create sound and persuasive arguments. In addition to the study of the informal fallacies which are studied in these first two courses, Classical Academic Press also publishes logic curriculum which presents formal logic. You can find all the products offered by Classical Academic Press on their website. Thanks to Barbara @ Alive In Spirit for writing this Crew blog post. This is a truly fun and substantial logic curriculum.